Aesthetic Dermatology and Laser Center Medical Gro (Laguna Niguel) - Book Appointment Online! At Aesthetic Dermatology and Laser Center Medical Group, we specialize in cosmetic dermatological procedures to enhance your appearance through the latest dermatological techniques. 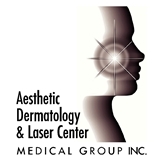 Aesthetic Dermatology and Laser Center Medical Group offers all laser technologies now being used in dermatology and cosmetic surgery. A variety of laser procedures are available in our facility for the convenience and privacy of our patients. We also perform Botox, Dysport and wrinkle filler injections, IPL photofacials, laser hair removal, Fractionated CO2 laser resurfacing and treat acne. We offer a full line of professional medical-grade skin care products, designed for all skin types. These products are available in our office and can compliment any skin care regimen. We also offer LATISSE to lengthen, thicken and darken eyelashes. We are proud to offer the latest in “Fractional” CO2 Laser resurfacing. In for a routine annual screening and 1st time patient. Office is pleasant and front office staff very efficient. Dr. Hick was very personable and professional. I was in and out in about 40 minutes.